How much should you really spend trying to get your kid a college scholarship? Rod​ Fort did the​ math. The numbers didn’t​ add​ up. It​ was the mid-2000s,​ and​ Fort’s​ teenage niece, Rachel​ Watson,​ was​​ chasing a college athletic scholarship. A gifted athlete, Rachel grew up playing youth baseball against boys. Now a high school softball star, she also competed on an elite travel team, worked with an agility coach, and received weekly private hitting and fielding lessons for $25-30 a pop—all in the hopes of landing an offer from a school in California or on the West Coast. None of this was cheap. To pay for their daughter’s pursuit, Lance and Joni Watson took out a second mortgage on their Southern California home; to ferry Rachel to weekly softball tournaments in places as far away as Illinois, Joni went from working full-time as a bookkeeper to part-time. One day, Rod sat down with Joni to figure out just how much his sister’s family was spending. The Watsons weren’t alone. Other families on Rachel’s travel team spent as much or more on the sport, also taking out second mortgages. Fort wasn’t surprised. While previously running a youth baseball league, he saw similarly large outlays for athletes as young as 12 years old—often justified by the Holy Grail of receiving a full ride, a tantalizing prospect in an era where the average college graduate leaves school with roughly $37,000 in student loan debt. All of that got Fort thinking. So did news articles about the ballooning cost of youth sports. An economics professor at the University of Michigan, he subsequently built a complex equation to answer a simple question: financially speaking, is laying out big bucks in pursuit of a campus sports scholarship a good investment? After running a series of calculations, Fort has come to a sobering conclusion. If a full ride is the goal, then almost everyone is spending way too much money. The national tally is enormous. According to a Time magazine cover story, youth sports are a $15.3 billion-a-year industry—larger than the National Football League, and one that has grown by 55 percent since 2010. 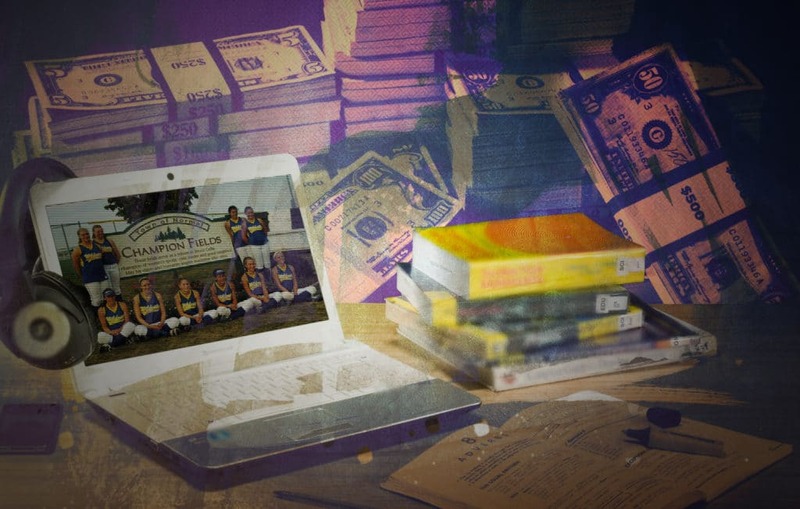 The same article features a 10-year-old baseball player in New Jersey whose parents have dropped more than $30,000 on the sport, and it mentions another family that forked over $20,000 for a single year of youth volleyball. Utah State researchers report that average American family spends $2,292 annually on youth sports—average outlays for lacrosse and hockey are more than double that amount—with some spending more than 10 percent of their total household income. For many, the expenditures are akin to a venture capital firm investing in a start-up, a bet that their child will end up receiving some of the roughly $3 billion in athletic scholarships annually handed out by National Collegiate Athletic Association schools. A 2016 survey of more than 1,000 parents conducted by TD Ameritrade found that 40 percent were at least pretty sure that their child would receive an athletic scholarship, while two-thirds hoped that said scholarship would cover more than half of their child’s college costs. At a subsequent team barbecue, Joni overheard a coach talking about her daughter with another parent. What do you think about Rachel? The girls on the team became fast friends. The parents, too. Like her daughter, Joni was having a blast—and in the back of her mind, she was still hoping for a scholarship. At least until she sat down with her brother. Calculating how much a family can spend annually on the scholarship chase before it becomes a money-losing proposition seems simple. Take the value of a full ride (let’s say $25,000), divide by the number of years the child has until college (say five), and voila: that’s the break-even point (in this case, a cool $5,000). But the reality is more complicated. First, Fort says, it’s vital to realize that most athletic scholarships are partial rides. Under NCAA rules, Division I schools can only offer a full roster’s worth of scholarships to athletes in four “head count” sports: football, men’s and women’s basketball, and women’s volleyball. (Women’s tennis and gymnastics sometimes qualify as well). Otherwise, teams tend to divide a limited number of scholarships among multiple athletes. For example, the Chronicle of Higher Education reports that of the 558 athletes at North Carolina State University in 2015, just 27 who didn’t play football, basketball, or one of the other headcount sports received full rides. Meanwhile, more than 200 of the school’s athletes had 20 percent or less of their college costs covered by financial aid. NC State isn’t unusual. That same year, the Chronicle reported, George Mason University handed out the equivalent of 4.14 scholarships to its softball squad, the University of Cincinnati distributed 2.26 scholarships to its men’s track team, and the University of North Dakota gave 0.4 scholarships to its men’s golfers—and they did better than the school’s men’s tennis players, which received no aid at all. Next, Fort says, you have to factor in the full expense of attending school—gas, clothes, beer money, every college expense beyond tuition, books, room, and board. Some big-time sports programs now offer football and basketball players cost-of-living stipends, but most athletes will pay thousands of dollars per semester out of pocket. Finally—and perhaps most importantly—any honest attempt to evaluate youth sports spending as a higher education investment vehicle has to account for the low probability of any high school athlete competing in college in the first place. Just how long are the odds? According to the NCAA, only two percent of all high school athletes end up playing Division I sports. At the website ScholarshipStats.com, Washington, D.C.-based accountant Patrick O’Rourke uses school, NCAA, and Department of Education data to offer specific numbers by sport. For men, gymnasts have a one-in-20 shot at landing a scholarship, the best odds of any sport, while volleyball players have the longest shot at one-in-177. For women, bowlers have the worst odds at one-in-94, while softball players—like Rachel Watson—have a one-in-50 chance. “You can spend all this money on club teams, travel teams, private coaching, academies, but if you really look at the chances of getting a college scholarship—and that’s assuming your kid is good enough to play—there’s not enough money to go around,” O’Rourke says. — For an athlete guaranteed to play in college and receive a full ride, spending up to roughly $7,600 a year can be considered a good investment. — By contrast, for an athlete with a one-in-four chance of playing in college for only 25 percent of a full ride, that same benchmark drops to just $244 a year. And here’s the rub: for the average athlete, both of those annual figures are almost certainly too high. Use the odds of making a Division I football or men’s soccer roster—about one-in-20, or five percent—and the yearly break-even investment totals fall to $1,527 and $49, respectively. The smaller sum won’t cover the cost of taking a family of four to see the newest Star Wars movie; the bigger one isn’t chump change, but nothing that a handful of out-of-state travel team tournaments or private coaching sessions wouldn’t exhaust pretty quickly. Of course, investing any money into a scholarship chase means making a tacit assumption—that an eight, 12, or 15-year-old will still want to devote countless hours to a sport, or even play it all, in the near-to-mid future. And, that young athletes essentially have the mindset of tennis star Roger Federer or New England Patriots quarterback Tom Brady, seeking to squeeze every last drop from the orange, extending their on-field careers for as long as possible. Yet as any parent can attest, kids don’t always—or often—work that way. The ongoing professionalization of youth sports, reports Time, has lead to an uptick in repetitive use injuries and increasing psychological burnout. And even healthy, happy children grow and change. Today’s obsession is tomorrow’s lacrosse stick gathering dust in the back of a storage closet. Take O’Rourke. His 12-year-old son is a promising baseball player who batted .700 in travel ball and hit a 300-foot home run. But he quit the sport this fall, simply because he was sick of it. “He’s playing soccer now,” O’Rourke says. “He went from being the best player on his baseball team to kind of a goon squad defender for his middle school soccer team. But he enjoys it! And that’s what it is supposed to be about. Rachel Watson had a similar experience. 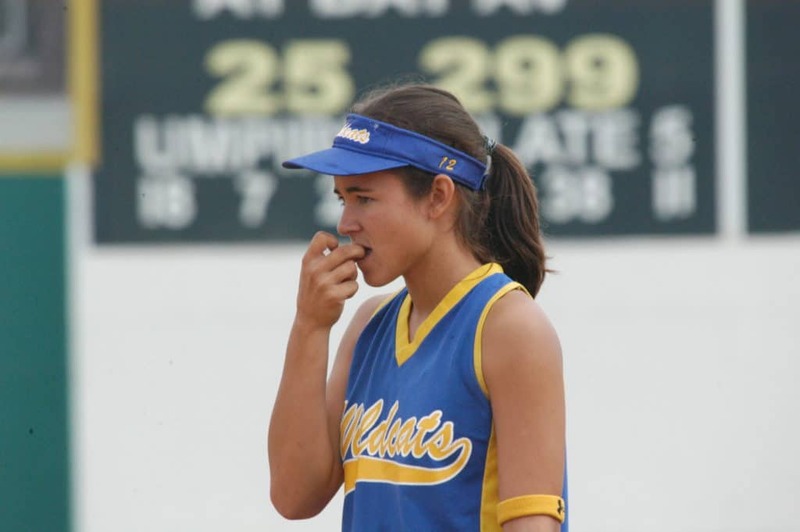 During her junior year of high school, her travel softball team disbanded. She was crushed. “For Rachel, it was all about her teammates, the camaraderie and friendships,” Joni says. Rachel continued to play for her high school team, and then at a local junior college. But following a short, unhappy scholarship stint at a Christian college in Colorado, she walked away from the sport—and subsequently played golf for a different junior college. “She loved it,” Joni says.